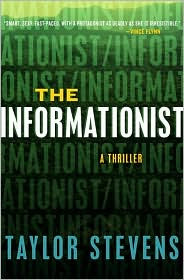 The Informationist: A Thriller by Taylor Stevens: this one is being compared to the Steig Larsson (Girl With a Dragon Tattoo) series, but even more action-packed. I like an action/suspense book with a strong female lead character, so I want to give this one a try, especially as it's Taylor Stevens first novel. Lisa's a fantastic author, and I was hooked when I read her Rosato & Associates series. 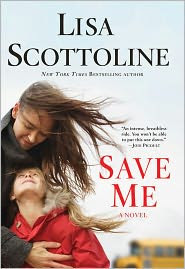 Now that she's branched out into stand-alone novels, I haven't been as enthralled, but she is still a solid writer, and delves into interesting plot lines that could happen in real life, a la Jodi Picoult. Looking forward to this one as it deals with a choice a mother has to make to save a child's life and the repercussions that come with it. so of course I was SO excited to get my hands on a copy of this book so early! I think I have read every book she has written including the BODICE RIPPERS way back in the 80s when she wrote for TEMPTATION and LOVESWEPT publications. She wrote under the pudendum of Stephanie James among others. Never understood why authors write under different pen names the put their real names on the books too. I also read Nora Roberts/ J.D. Robb, Tami Hoag, Tess Gerritson, and the Bones Series by Kathy Reiche. I love the CSI / Cops type of books,all with the strong female leads. Although a little romance soothes my heart. I do not read as many books as I use to read because now I quilt... so I read / breath quilt books. Nonnie, I've been reading JAK and her "aliases" for a long time too - even had a few of the Stephanie James books at one point when I was heavy into the harequins back in my college years, LOL. You might try listening to audiobooks while you quilt - in between the podcasts of course! Thanks for your post. Also, Lisa Gardner and Karin Slaughter are very good authors along the same lines as the other CSI/Cop type books you like. I am currently reading The Fall Book 2 of the Strain Triology by Chuck Hogan and Guillermo Del Toro and listening to The Lost Symbol by Dan Brown and The Black Swan: The Impact of the Highly Improbable by Nassim Nicholas Taleb As you can see I like variety in my books. I just finished listening to book 2 of The 39 Clues which is a young adult adventure book with each book being written by different authors. My 2011 goal is to listened and read at least 2 books a month. Sharing time with that goal is work, my knitting and crocheting projects and my dogs. 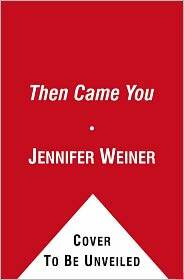 Thanks for the heads up on the Jennifer Weiner book! She's one of my favs too. Loved "Goodnight Nobody" ... was a little iffy on "Best Friends Forever." Which is your favorite? 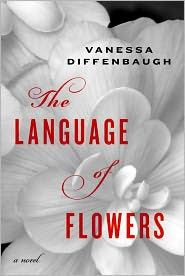 i read the "language of flowers" some month ago, it´s out here in Germany for some weeks now. i loved it so much! a great read, special and wonderful. it does look totally different around here, though: the publisher took a womans face for the cover which is way too old and elegant for the main character. bummer! lots of especially younger women should read this! but there´s always hope for the pocket book edition i think..
@Sabra: I've read several of those, and you have a great list. Have you read the Hunger games series by Suzanne Collins?...absolutely fantastic! @Stash Resolution: my favorite was probably In Her Shoes, but I've enjoyed them all. Do you have a Kindle? If so I can send you this new one! Let me know. @machen und tun: thanks for the recommendation, I can't wait to read it. I didn't know it was already out in Europe...but so many good books originate from there, LOL.